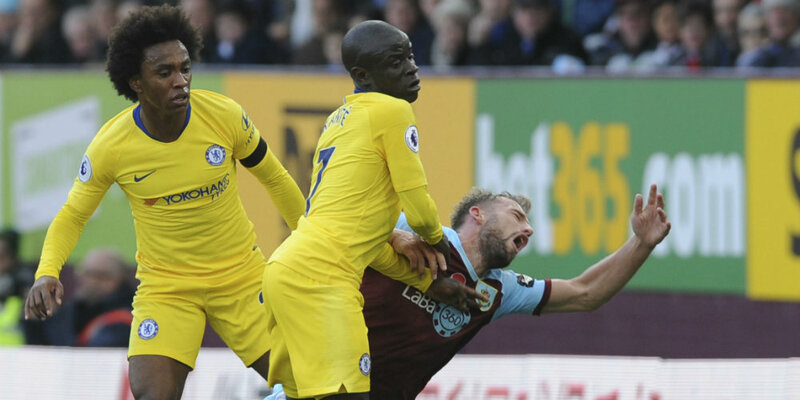 Chelsea’s unbeaten record under boss Maurizio Sarri continued in fine style as they cruised to a resounding victory at Burnley. Here’s how we rated each Blues player in the 4-0 win. Barely troubled. Dealt with everything that came his way apart from when he made a mess of attempting to gather Matthew Lowton’s cross. Fortunately for Chelsea, Robbie Brady was unable to take advantage. Not threatened at all defensively and as a result was able to get forward almost at will. This was Luiz at his best; calm, composed and not taking any unnecessary risks. Also played well at the centre of the Blues defence and Luiz would have been proud of some of the German’s passing and slick work with the ball at his feet. 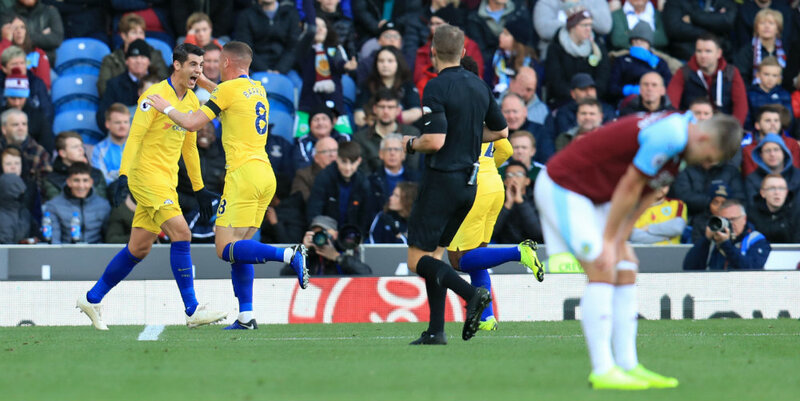 Dealt with the threat of Johann Berg Gudmundsson and was also able to get forward plenty himself, not least when his back-heel led to Ruben Loftus-Cheek scoring. Effortlessly pulled the strings in midfield. Great to watch. Vintage Kante. At times it seemed like there three of him on the pitch as he popped up everywhere, winning countless challenges and pushing forward at every opportunity too. Helped create a first-half chance for Alvaro Morata. Brilliant from Barkley, who scored for the third Blues game running. Teed up Morata for the opener, netted himself with a terrific strike, and was always too good for Burnley’s midfield. Unable to make much of an impact before going off injured just before the half-hour mark. Scored a lovely goal – his reward for a cracking all-round display. Eden Hazard wasn’t missed too much as Willian terrorised the home defence. Scored again, with his third goal in his last four Chelsea appearances putting them ahead. Missed chances to add to that tally but his overall performance was excellent as he linked play nicely and always bothered Burnley with his clever movement. Again made a point to Sarri. Having scored a European hat-trick this week he did well after replacing Pedro and got another goal. Unlucky not to score when he was denied by keeper Joe Hart just before the fourth goal.